Life is a journey, and as a client and friend, we’re in it together. Through our conversations and your feedback over time, we heard you. The Evan Guido Group is excited to announce a new location and identity. Beginning Monday, November 12, 2018, AKSALA WEALTH ADVISORS, LLC will be operating from a more convenient office location in downtown Lakewood Ranch, which is closer to everything. Evan and Jamie look forward to welcoming you. The Amazonification of life and the impact of technology has changed our industry. Client expectations are evolving and the resources needed to deliver best-in-class advice and service is changing with it. Great people are required to make great things happen. Wealth management and tax planning must be combined for truly holistic planning. Technology is no longer a luxury, it is everything. It adds value, convenience, and better planning outcomes. The most profound finding were similarities within my clientele. Most are self-made, sociable people with a deep desire for personalized planning from those who appreciate how hard you have worked to earn it. We get it. I can say with confidence the Evan Guido Group has dramatically improved the financial outlook for a wide range of clients through financial education and prudent planning. That same level of service and dedication will be carried forward to Aksala (ox-sala). Your portfolio and plan will stay fully intact. You will notice enhanced technology, research, planning capabilities, and maintain your low costs. 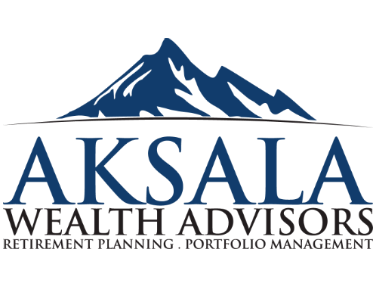 Thank you to all our clients, business leaders, friends and mentors who have encouraged the creation of Aksala Wealth Advisors. This firm is committed to continue to improve and operate as a family office to the “Millionaire Next Door”. We are inviting a select group of people to join us. If you are reading this, that’s you! We will have several additional on-boarding experts on site in the weeks ahead to execute the simple custody change forms. We will complete these forms via “Docu-Sign” or provide paper copies following a brief call. Simply call us, or stop by. Talk soon! Grab The Opportunity Now And Learn How Aksala Can Help You. SCHEDULE YOUR 10 MINUTE INTRODUCTORY CALL! *Evan Guido and Jamie Zinkhan, HD Vest Advisors. HD Vest Financial Services® is the holding company for the group of companies providing financial services under the HD Vest name. Securities offered through HD Vest Investment Services®, Member FINRA/SIPC. Advisory services offered through HD Vest Advisory Services®. Insurance services offered through HD Vest Insurance Agency LLC. 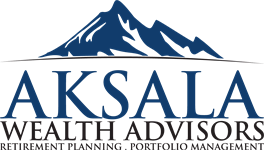 Aksala Wealth Advisors is not a registered broker/dealer or registered investment advisory firm. National Financial Services LLC and Fidelity Investments® (together Fidelity®) are independent companies, unaffiliated with The Evan Guido Group, Aksala Wealth Advisors LLC and HD Vest Financial Services. Fidelity is a service provider to HD Vest. There is no form of legal partnership, agency affiliation, or similar relationship between The Evan Guido Group, Aksala Wealth Advisors LLC, HD Vest and Fidelity, nor is such a relationship created or implied by the information herein.